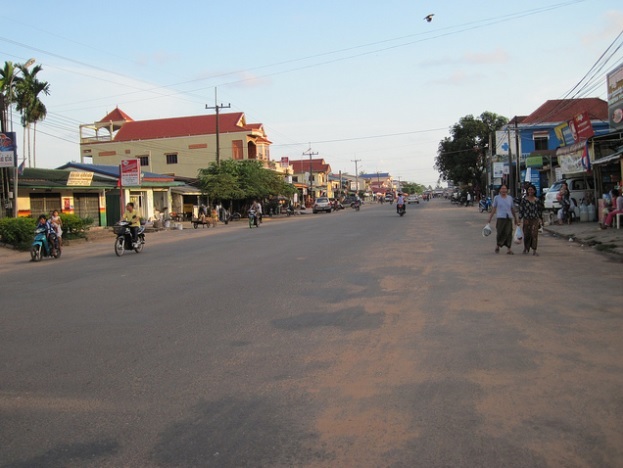 Koh Kong City is located on the South-West corner of Cambodia. It's the capital of Koh Kong province and it's widely forested area with mangroves, rivers, and tropical islands. Around the town is the Bay of Thailand, Koh Kong island, the country of Thailand, and mountains and jungles. There are a few eco-tourist lodges outside the town in the jungle and on the rivers, and hundreds of kilometres of unspoiled jungles for the real adventurer. Many destinations are only accessible by foot, boat, motorcycle or cow. Most travellers see Koh Kong City only briefly as they pass through town on their way to or from the Thai border crossing, but that is gradually changing. Koh Kong Province is only just being discovered as a destination in itself, largely unexplored and offering a wealth of eco-tourism, adventure and beach hopping possibilities, and Koh Kong City is the most convenient base from which to explore the province. The City sits on Kah Bpow River about 10km from the Thai border and is both a sleepy provincial capital and a bustling border town. 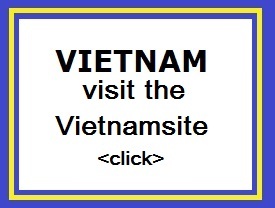 There is an international hotel and casino on the border and the main town area boasts a number of budget guesthouses and mid-range hotels as well as a few western managed restaurants and bars. The road from Koh Kong (Route #48) is fully paved, in excellent condition and all bridges are now open. Virak-Buntham bus company offers direct bus service between Koh Kong and Sihanoukville, Phnom Penh and Kampot using comfortable full size a/c buses. There are no flights to/from Koh Kong. Contact your guesthouse or tour operator to help you arrange bus, ferry or taxi tickets. Koh Kong province is a typical so called eco tourism destination, the attraction are the mountains, waterfalls, wild rivers with huge rapids and a real clean environ, sometimes not so clean because many locals just throw anything away after using it, means lots of trash at roadsides and also at the beautiful nature spots. The heavily jungled Cardamom Mountain range and rugged rivers to the northeast, and the unexplored coast and island beaches to the south offer a number of eco-tourism and beach hopping possibilities. The most popular local destinations are nearby waterfalls and beaches. There is potentially much more to see and do in Koh Kong province. Eco-adventures include touring the unique nearby mangrove forests and boating further upstream to spectacular waterfalls, rapids and jungle scenery. 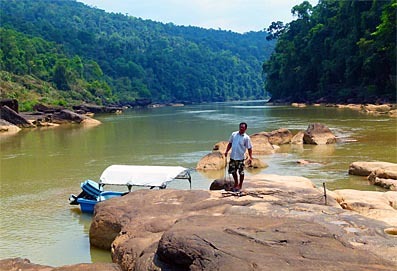 Or go on a multi-day 4WD or dirt bike excursion into the Cardamom Mountains. The beaches are within easy driving distance of the main town area. Nearest, the Resort 2000 on the opposite side of river is popular with the locals and has a restaurant by the water, bungalows and a muddy little beach. To get there, cross the Koh Kong Bridge from town, turn left on a dirt road at the intersection and proceed to a marked turnoff. Koh Yor Beach near Ba Blong Village on the ocean is much better - a long, narrow, secluded, white sand beach with a few little Oceanside seafood shacks including the Barracuda Beach Bar run by the people from Koh Kong Divers - cold drinks, seafood and western food, music, PADI diving courses and more. To get to Koh Yor Beach continue south on the dirt road past Resort 2000 for about 10 minutes to the ocean. 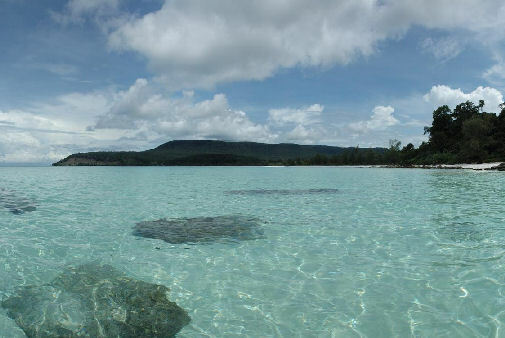 The island of Koh Koh Khoa in the Gulf of Thailand about 45 minutes boat ride from Koh Kong City has several unspoiled completely not touristic white sand beaches. Some guesthouses including Oasis Resort and Neptune Guesthouse can organize picnic/snorkelling trip to the island. The city of Koh Kong is a good base for excursions to the nearby mangrove forests, to the impressive waterfalls, for jungle treks and boat trips to non touristic islands and beaches. Koh Kong Safari World is mixed up spectacular views of the greeneries and sea to present the natives of Australia, Africa, Asia and the tropics including Kangaroo, Giraffe, deer, bear, and many others.